Users are kindly requested to cite this reference when publishing their results obtained with CRYSTAL17. The CRYSTAL Team is pleased to announce the release of CRYSTAL17 v1.0.2 (released on 19/04/2018). Version 1.0.2 is mainly a bugfix release. All users are encouraged to upgrade to v1.0.2 as soon as possible. Two new composite DFT methods, HSE-3c, B97-3c, are available. Analytical forces (gradients) for the geometrical Counterpoise (gCP) method and the SRB correction (used in HF-3c and B97-3c) are now available. The code for DIIS accelerator has been improved in terms of efficiency (with average speedups of about 8% on routine calculations). A different algorithm is now used for solving the DIIS equation. As a consequence, small numerical discrepancies with respect to v1.0.1 might be observed. Printing of hyperpolarizabilities in output has been improved. Registered users can freely download the new version through their accounts at the CRYSTAL Solutions web page. A chemist who applied his brilliance to the quantum chemistry of solids. Vic Saunders, who has died at the age of 74, was a theoretical chemist who became a pioneer in the application quantum theory to solid state physics and chemistry. Vic was born in the north west of England at Birkenhead in April 1943. He received his Grad. R.I.C. in 1965 and moved to the University of Sussex for his post-graduate work. In 1969 he joined Professor Ian Hillier’s group in the Department of Chemistry at Manchester University as a Research Fellow. He left in 1971 to become a Senior Scientific Officer within the Atlas Lab. at the Rutherford Appleton Laboratory in Oxfordshire. There he remained until in the early 1980s he and his colleagues moved to Daresbury Laboratory in Cheshire where he remained until his retirement in 2003. In 1964 the Atlas Lab. had been founded to host a new national supercomputer and Vic was one of the bright young scientists using all of their ingenuity and expertise to create efficient and reliable programmes to make best use of it. In Vic’s case this meant quantum theory, initially for describing small molecules. He was already well known for his work in Manchester with Ian Hillier where he had invented level shifting (1970) to ensure convergence of SCF calculations. He now had the freedom to devote himself to exploring the description of electron correlation and made fundamental contributions, including his famous analysis of the direct CI method, with Joop van Lenthe published in 1983. He also co-developed and released the ATMOL software which set a new standard in ease of use and efficiency allowing a broad scientific community to use quantum chemistry. The ability to facilitate the science of worldwide communities became a special characteristic of Vic’s career. 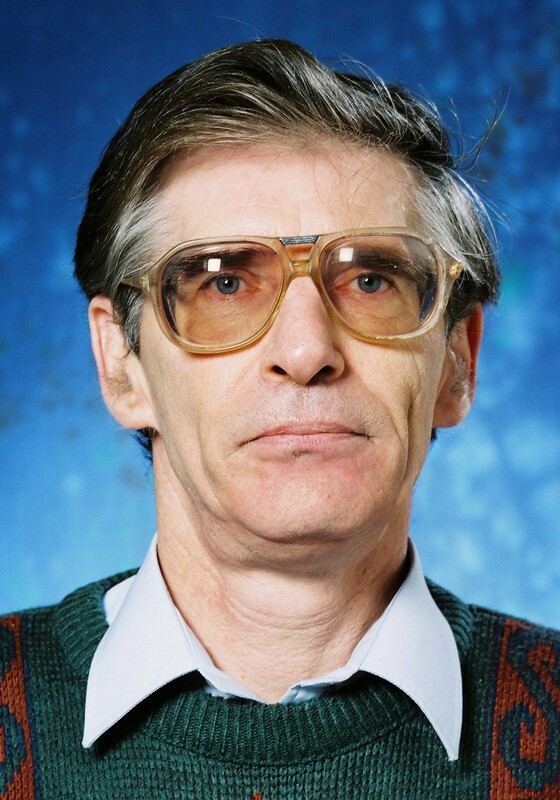 In 1980 Vic had met with Cesare Pisani, Carla Roetti and Roberto Dovesi from the theoretical chemistry group at the University of Torino, who had started in 1976 to code the CRYSTAL code, using a Gaussian basis set and the Hartree-Fock Hamiltonian for investigating periodic systems. The Torino group was looking for expertise and skill for generalizing and enriching the possibilities of the CRYSTAL code. In less than one year Vic inserted a new Gaussian integral package for s, p and d integrals (later on, around 2000, he extended this to f orbitals, and prepared tables for a further extension to g), and a very effective multipolar expansion for treating the Coulomb series. This was the beginning of the great collaboration of Vic’s career that led to the development and distribution of the CRYSTAL software for applying quantum theory to solid state chemistry. For about 25 years Vic was a sort of “guardian of the temple” for the CRYSTAL code, looking, cleaning and improving the code line by line, making it robust to any translation (from operating system to operating system, compiler to compiler, architecture to architecture). A sort of continuous, day by day monastic activity that made in these years the code solid as a Roman Bridge. In parallel he was introducing many new features in the code. Parallelization of the integral packages, direct strategies, and many others. Three in particular are worth of mention: the treatment of the infinite Coulomb series for 3D systems through very efficient recursion relations (Mol. Phys. 77, 629, 2002; extension to 1D appeared 2 years later; the 2D case has never been published); the generation of well localized Wannier functions (with Claudio Zicovich, coded in these years but published only in 2000: one of Vic’s characteristics is that he was interested in solving problems, not so much to share the solution through publications, as the “next” problem was calling); the implementation of a very accurate strategy for the integration of the DFT exchange correlation term in the Fock Hamiltonian. In 1986 Nicholas Harrison joined Vic at Daresbury Laboratory and forming a close collaboration they developed and applied quantum theory in the CRYSTAL code to problems in strongly correlated condensed matter. The realisation that Fock exchange was key to the self-interaction error in density functional theory allowed them to unravel many long standing problems in electronic structure and magnetism. During these years Vic was extremely useful in the preparation of the various public releases of the CRYSTAL code (1992, 95, 98, 2003), as he was incredibly quick to grasp error, inconsistencies, dangerous coding. He also attended many CRYSTAL schools held in Torino and London for the education of young scientists: Always sharp, clear, effective (and sometimes a bit dangerous: he was able to explore challenging problems through a few lines of equations, so that lectures often were ended after say 25 minutes instead of 45, and the Chairman had to look in a hurry for the next speaker). In 2003 Vic retired, the event was celebrated in a meeting held in Daresbury on the 9th June of that year. In the following years he continued to visit the Torino group (he had become an honorary member of the Chemistry Dept. there). In the Autumn of 2005 he suffered a transient ischeamic attack that stopped his, still very brilliant, scientific activity. Those of us who worked closely with Vic are forever in his debt for being able to share in his remarkable ingenuity, intelligence, generosity of spirit and, perhaps more than anything else, his ability to focus, to the exclusion of all else, on a scientific problem until it was solved. 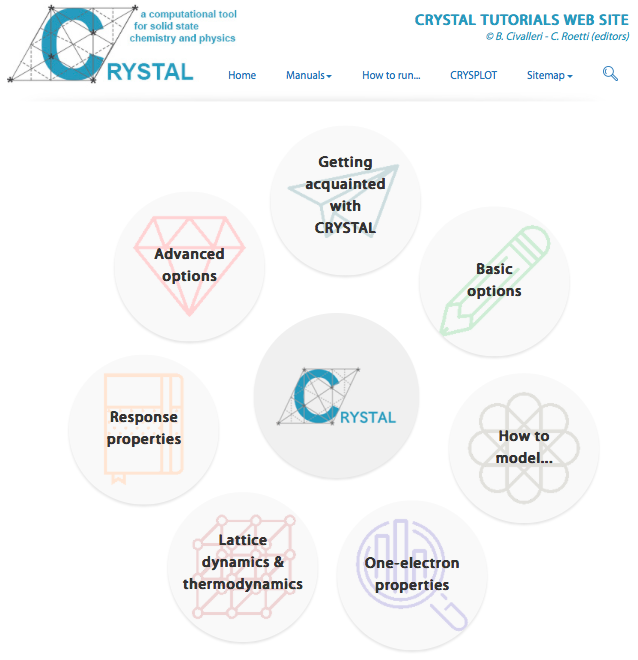 A renewed and restyled version of the CRYSTAL Tutorials web site is now available online. Tutorials have been also updated to cover the new features of CRYSTAL17. We are very grateful to Giorgia Beata and Gianpaolo Perego (Crystal Solutions - Aethia s.r.l.) for their invaluable work in the editing and restyling of the web site. The	performance	of	the	code	in	terms	of	parallel	efficiency,	speed-up	and	memory	distribution	attracted	the	attention	of	the	Editors	of	the	Journal	who	decided	to	highlight	the	study	on	the	cover	of	the	October	2017	issue. 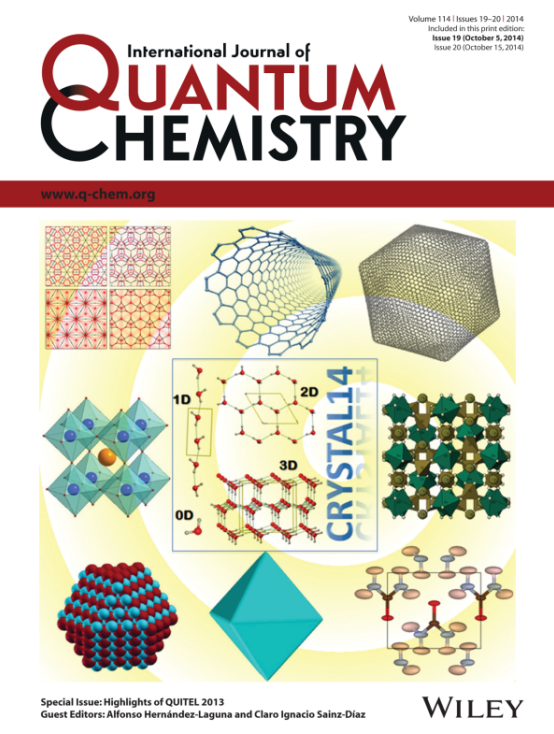 This	is	not	the	first	time	CRYSTAL	makes	it	to	the	cover	of	international	scientific	Journals. 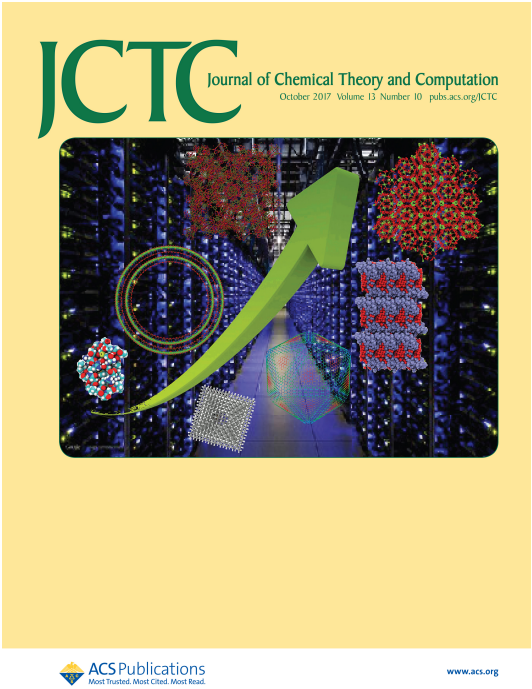 In	2015,	the	parallelization	of	the	program	module	for	the	evaluation	of	one-electron	properties	of	solids	has	been	presented	on	a	paper	entitled	“Electron	Density	Analysis	of	Large	(Molecular	and	Periodic)	Systems:	A	Parallel	Implementation.”	[J.	Comput. Chem.,	36,	1940-1946	(2015)]. Also	in	that	case	the	Editors	decided	to	highlight	the	study	with	the	cover	of	the	September	2015	issue. 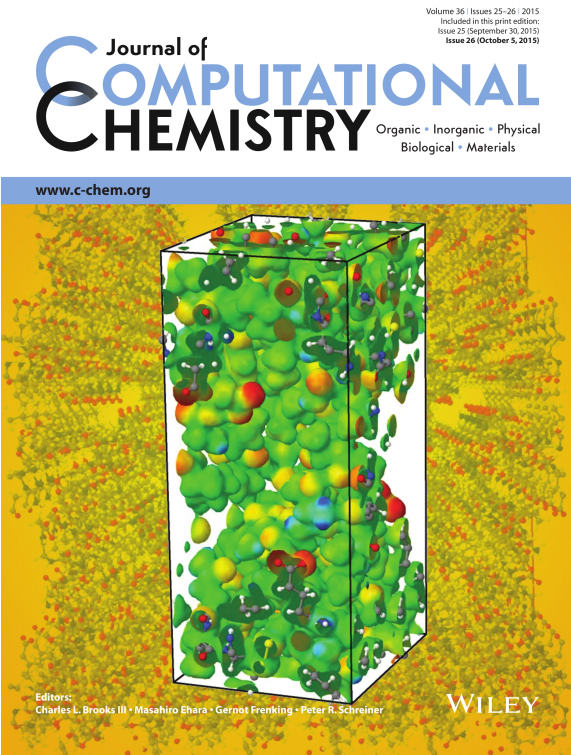 The	paper	has	been	highlighted	on	the	cover	of	the	August	2014	issue. The CRYSTAL Team is pleased to announce the release of CRYSTAL17 (current version: v1.0.1). Implementation of Grimme’s -D3 correction of DFT for dispersive interactions (including both two- and three-body terms) with all default parameters stored internally in the code (not to be given by input). The NOMAD Repository now supports the CRYSTAL code and its users. They offer uploading, downloading, sharing, assigning DOIs, and more. Storing is guaranteed for at least 10 years, free of charge. 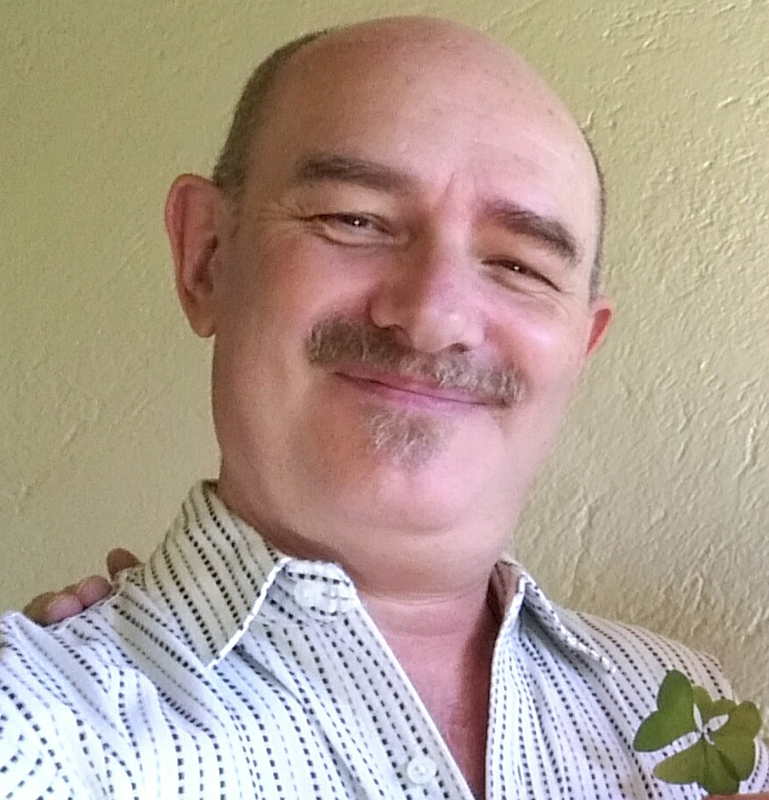 Our dear friend and colleague Claudio Marcelo Zicovich-Wilson tragically passed away from a stroke, on November 3, 2016. Claudio was born in Buenos Aires (Argentina) in 1957, where he graduated in Chemistry in 1985. He got his Ph.D. from the University of Valencia in 1994. 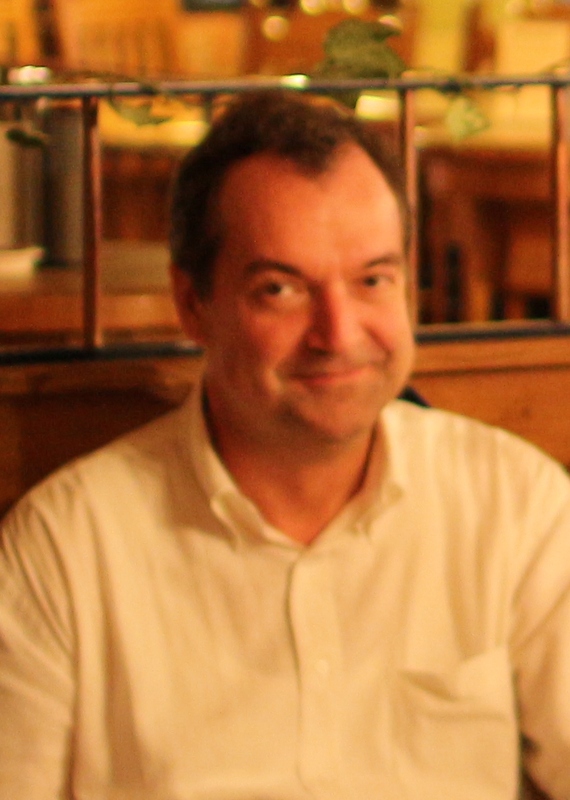 From 1995 to 1998 he was in Torino as a postdoc. During those years he started a collaboration with the Torino group on the development of the CRYSTAL program that lasted for 21 years (the last e-mail that Claudio sent to the group in Torino is dated 29/10/2016 and contains a long list of developments he had in mind for the next versions of the program). From 1998 to 2000 he was researcher at the Technological Chemistry Institute-ITQ (Spain) and from 2001 he became full professor at the Autonomous University of Morelos State (Mexico). Claudio has been one of the main authors of 5 major releases of the program (CRYSTAL98, 03, 06, 09 and 14) and a lecturer to most of the CRYSTAL-based summer schools that have been held in the last 20 years in Italy, Spain, USA, Germany, UK, France, Mexico, Argentina, Brazil. His original contributions to the development of the CRYSTAL program and more generally to solid state computational chemistry are countless: in the mid 90s he formally developed and implemented the use of symmetry-adapted crystalline orbitals for SCF-LCAO periodic calculations within the Hartree-Fock and Density-Functional-Theory frameworks, which allows to efficiently exploit point-symmetry and drastically reduce the computational cost of such demanding calculations; he devised a scheme for localizing crystalline orbitals into Wannier functions in a periodic LCAO scheme; he worked at the implementation of many options of the geometry optimizer, of vibrational features such as infrared intensities and LO/TO splitting of solids; he developed an original scheme for the transition-state search in periodic systems, and many others. For the upcoming CRYSTAL17 version of the program, he recently implemented a scheme for the evaluation of Hirshfeld charges. He authored more than 130 papers published in international journals. Beside being an excellent quantum-chemist and a beautiful person, Claudito (as we all used to call him) was family. Because of his human and empathic character he has never just been a colleague or collaborator but rather a caring son, brother, uncle, father to many of us during all these years. His day-by-day work on the program will be deeply missed by all of us as well as his irony, his Argentinian humor, his colorful shirts and tasteful hats, the sound of his guitar. The CRYSTAL Team is pleased to announce the release of CRYSTAL14 v1.0.4 (released on 26/04/2016). Version 1.0.4 is mainly a bugfix release. All users are encouraged to upgrade to v1.0.4 as soon as possible. HJS exchange hole for open shell systems. This affects HSE06, HSEsol, HISS, LC-wPBE, LC-wPBEsol and LC-wBLYP functionals. Our dear friend and colleague Roberto Orlando passed away prematurely, after a long and courageous battle against cancer, on April 19, 2016 at the age of 55. Born in 1961, he graduated in Chemistry in 1986 at the University of Torino. His career started in the Theoretical Chemistry Group of the University of Torino. From 1997 to 2012, he was faculty researcher at the University of Eastern Piedmont. In 2012, he came back at the University of Torino, where he was associate professor in Physical Chemistry since 2014. Since his M.Sc. degree, Roberto has been developing and applying theoretical quantum mechanical methods for the ab initio study of the electronic structure of solids. He was one of the main developers of the CRYSTAL code. His contribution in this respect has been invaluable. He organized and was a speaker at numerous international schools on ab initio modelling of solids over the years. His passion for research and teaching was recognized by his international colleagues and students. Beside being an excellent scientist, Roberto has always been a sweet and caring person. All those who have worked and interacted with him, all his friends, colleagues and students, will deeply miss him. The CRYSTAL Team is pleased to announce the release of CRYSTAL14 v1.0.3 (released on 03/09/2014). Version 1.0.3 is mainly a bugfix release. All users are encouraged to upgrade to v1.0.3 as soon as possible. Version 2.0.1 is mainly a bugfix release. CRYSTAL09 for Unix/Linux/MacOSX is supplied as binary executables or object files for a number of supported architectures (see http://www.crystal.unito.it/platforms.html). Precompiled executables include sequential (crystal, properties) and replicated data parallel version (Pcrystal). The massive parallel version (distributed memory) is only supplied as object files. Not all binary executables are available to be downloaded, yet. To avoid compatibility problems with pre-compiled binaries, users are kindly invited to compile executables by starting from object files. This allows one to link specific MPI libraries for parallel execution. Registered users can access to the download area by using the registered user's e-mail address as login and the password they received when the license purchase was finalized. Registered users can access to the download area by using login/password details they received when the license purchase was finalized. If possible, users are kindly invited to download files from the CRYSTAL Solutions web site. Here is a list of the main changes in v2.0.1 as compared to v1.0.1. The algorithm has been changed when a step yields an increase in the total energy. The calculation of the gradients is now skipped until the total energy decreases. A new option has been added (i.e. NEGLEFRE) to allow users to remove the first n-th vibrational modes in the calculation of thermodynamic functions. When using SCELPHONO/DISPERSION thermodynamic quantities are now referred to the primitive unit cell. A bug has been fixed in the Grimme's correction for the cell gradients of non-orthogonal Bravais lattices. The code for the calculation of elastic constants has been deeply revised. Thanks to Elisa Albanese and Alessandro Erba for helping in revising the code. WARNING: With v2.0.1, the compatibility between ELASINFO.DAT v1.0.1 and ELASINFO.DAT v2.0.1 is broken. Therefore, calculations cannot restart from previous data files. Due to a bug of the code, in the CONFCOUNT option the DATAFORFIT, SOLSOL and MAGNET keywords have been disabled. Work is in progress to fix the bug. From December 2012, the CRYSTAL and CRYSCOR codes are distributed through Aethia srl, a small company that represents an interface (denoted as Crystal Solutions) to CRYSTAL and CRYSCOR users. Ordering, payments, download, installation, advice about hardware and other activities unrelated to the use and development of the code will be available through the new web site. Information about the use and development of the code, tutorials, schools and related events will remain on this web site. All registered CRYSTAL09 users can access to the new web site through the following link by using their e-mail address and password. Although the previous e-mail addresses (crystal-support@unito.it and crystal@unito.it) will be still available, users are kindly request to use the new support form. The Theoretical and Computational Chemistry of the Italian Society of Chemistry has established the "Cesare Pisani" Gold Medal in memory of our colleague who died in 2011. The medal is awarded to scientists who are advanced in the field of Theoretical and Computational Chemistry. The CRYSTAL Team is proud to announce that Prof. Roberto Dovesi is the recipient of the 2012 "Cesare Pisani" Gold Medal of the Italian Society of Chemistry for his ability to combine top level scientific rigor and technical skills that allowed him to optimally lead the development of one of the most well-known computational tools for solid state chemistry and physics. Our dear friend and colleague Cesare Pisani died on July 17, 2011. Born in 1938, he graduated in Physics in 1963 at the University of Milano. His career took place in the University of Torino, where he became full professor in Quantum Chemistry in 1981. In 2009, he was awarded the title of Emeritus Professor of the University of Torino. Throughout his scientific activity, he has been one of the leaders of the Theoretical Chemistry Group of the University of Torino. For almost forty years he has been developing and applying theoretical quantum mechanical methods for ab initio study of the electronic structure of solids. His pioneering developments have been implemented in the computer codes: CRYSTAL, EMBED and CRYSCOR, now extensively used by the solid state community throughout the world. His scientific contribution in the computational quantum chemistry and physics is invaluable. In addition to his outstanding professional qualities, Cesare has been a wonderful and caring person. We owe him a debt of gratitude for his friendship and patient guidance. Carla Roetti has died on September 7, 2010. She graduated in chemistry (1967) at the University of Torino, where she became Associate Professor in Physical Chemistry in 1980. Throughout her scientific activity, she has been one of the leaders of the Theoretical Chemistry Group of that University. For almost forty years she has been involved with her colleagues in the quantum mechanical ab initio study of the electronic properties of solids and in the implementation of related algorithms and computer codes, in particular of CRYSTAL. Her contribution in this respect has been invaluable. Since the release of the first public version of CRYSTAL (1988) and throughout all the subsequent ones, she has had a leading role in caring the maintenance, the full portability, the documentation and testing of the new features of the code, and the support to the users. All those who have worked and interacted with her will deeply miss her. Alessio Meyer was a second year PhD student of the Theoretical Chemistry Group in Torino, when he suddenly and unexpectedly died on 23/12/2009. He was a dear friend to all of us, and a most valuable scientific collaborator. An account of his activity in our group is reported here.